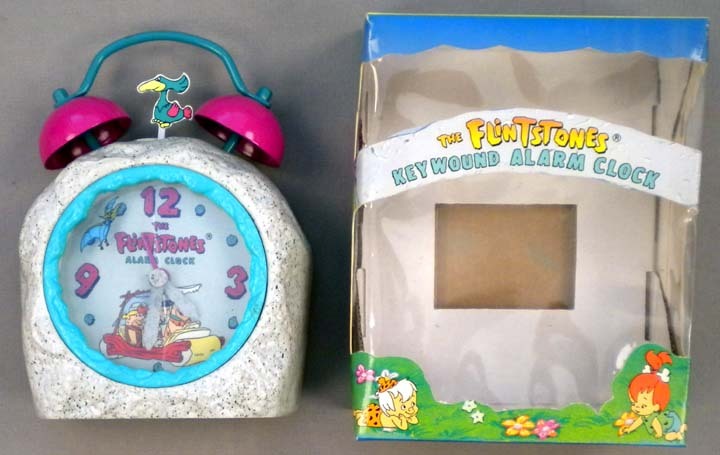 After too many mornings of my favorite Flintstones Alarm Clock waking me up it would eventually die on me. I loved this clock. I think it was the only reason I got to high school every morning. It had a relentless bell on it that wouldn’t seem to stop ringing. There were many mornings I wanted to throw it. The day it stopped working I was heartbroken. Fast forward (a lot of years) …. Imagine my surprise when I opened up my Christmas gifts and there was my beloved Flintstones Alarm Clock. OK so it wasn’t my original alarm clock, but it was one my husband found online. I couldn’t have been happier! After all these years here it was again! This was my favorite Christmas present for so many reasons. It proved that my husband actually listens sometimes when I tell stories. I know he went through a lot of trouble to make sure he got it for me. Best of all this is my favorite Christmas gift because it means I get to enjoy something I loved from my childhood all over again.